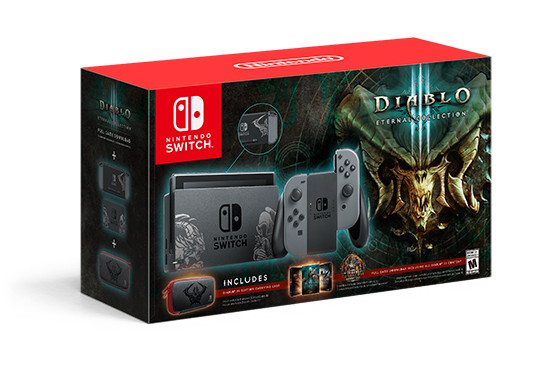 Diablo III: Eternal Collection is coming soon, and Nintendo has recently announced that it is receiving a Switch bundle available exclusively through GameStop. The bundle comes with a Diablo III-themed console, dock, and carrying case, and a download code for the game. The full bundle will cost $359.99 and will be available November 2nd. I think this is a good way to hype the game up, especially considering the Ganondorf armor set that is exclusive to this version of Diablo III. I do think that limiting it to a single retailer is a risky move, especially since GameStop has a “love it or hate it” association in the gaming community. But regardless, the bundle might be a good gift for the Blizzard fans who need a Switch. Will you be purchasing this bundle? Let us know down below!